You know those girls who start dreaming about getting married when they are little? I was never one of those, and the older I grew the more convinced I was that getting married wasn't really necessary. Today is our two year wedding anniversary, and thought I would re-publish some of my favourite images on the blog to celebrate. 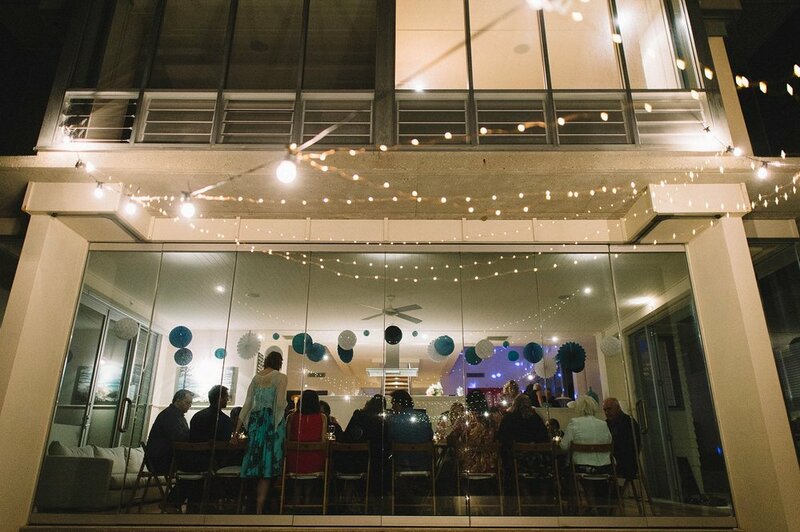 We chose to have a really small and intimate wedding, with our nearest and dearest friends and family, in Noosa on the Sunshine Coast. 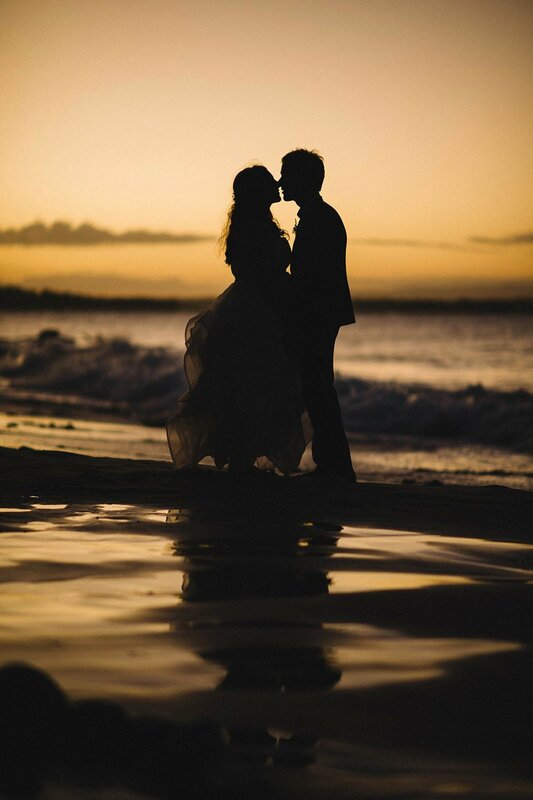 We are beach babies at heart, so it was important to both of us that we get married on or near the beach. 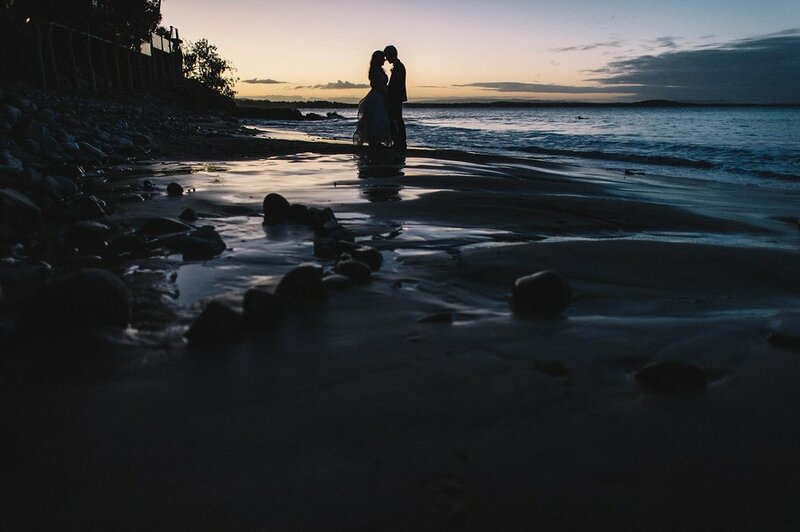 We are both incredibly casual people, so instead of hiring a traditional wedding reception venue, we hired a private beach house (I also wanted to be a little different)! Being able to spend time with our friends was one of our top priorities, so we hired the beach house for 5 days (with our wedding in the middle) which allowed us to turn our wedding day into a wedding weekend. The days in the lead up to our wedding were so much fun, and being able to spend so much time with everyone we love all at once was amazing, and was so, so, so incredibly special. We all ended up getting ready at the beach house, which meant we were able to have the most beautiful lunch together with our friends and families. Dan and I are also super corny, so we wrote each other a love letter and read them together, right before we got dressed. Even further evidence of our dorkiness is that we both calculated how many days we had been together for (2,854 days, in case you were wondering), and used that in our letters to each other - clearly we were made for each other!! We also chose to have a first look, and see each other before the ceremony, Dan took some convincing because it was so different and non-traditional, but he totally came around to the idea and loved it just as much as I did. It was short, but so sweet, and it felt right for us. 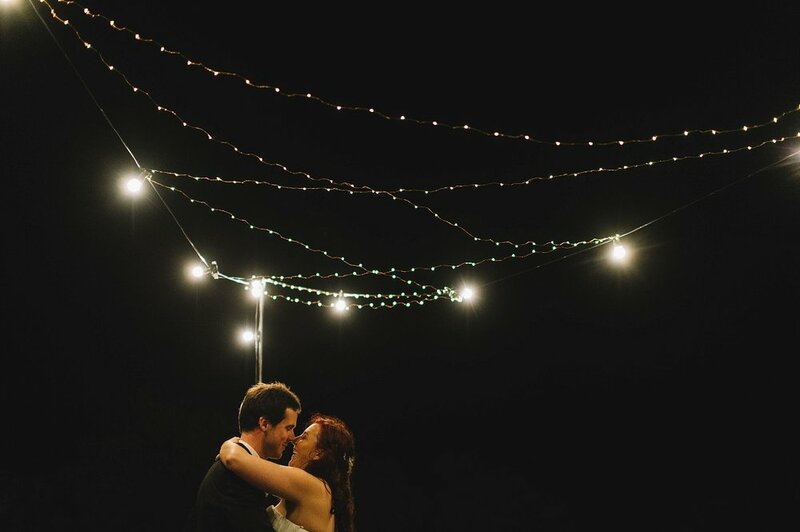 Our ceremony was at Casuarina Gardens, and after the ceremony we got to hang out with our guests for an hour or so before heading off to take some photos at sunset (naturally, our whole wedding day was planned around this lol)! Hiring the beach house was a stroke of genius - even our most traditional family members came around to the idea eventually. Almost everyone who didn't stay on the night of the wedding, came back the next day for a post-wedding-BBQ, which kept the party going. It was just so nice to hang out with everyone the next day, it really ended the weekend in the best way. Having (almost) everyone we love in the one place at the same time, happy and excited for us, is hands down one of my top three favourite memories of our wedding - so thank you to everyone who could make it, it meant (and still means) so much to me. In order to hire the beach house, we had to hire a wedding planner. I was so sceptical about this, and worried about how it would impact our budget, but in the end this was one of the best things we did and their prices were so affordable that we didn't even blink. Having almost everything organised through the one company took the stress out of everything, they took care of every.single.thing. On the day, the staff were so friendly and helpful - they set up the ceremony and reception, transported chairs back and forth, organised catering - and pretty much everyone had amazing things to say about them. My dress - I never wanted to take it off. Making your own wedding dress isn't for the faint of heart - especially when you have your "moment" (finding your dress) while watching Say Yes to the Dress on TV!!! It took me about three months, and cost me about $600 (versus the $7,000 price tag attached to the Pnina Tornei dress which inspired me) and I absolutely love it. I was spinning and twirling alllllll day. Something always goes wrong, it's almost impossible for everything to go perfectly on a day as big as a wedding day! 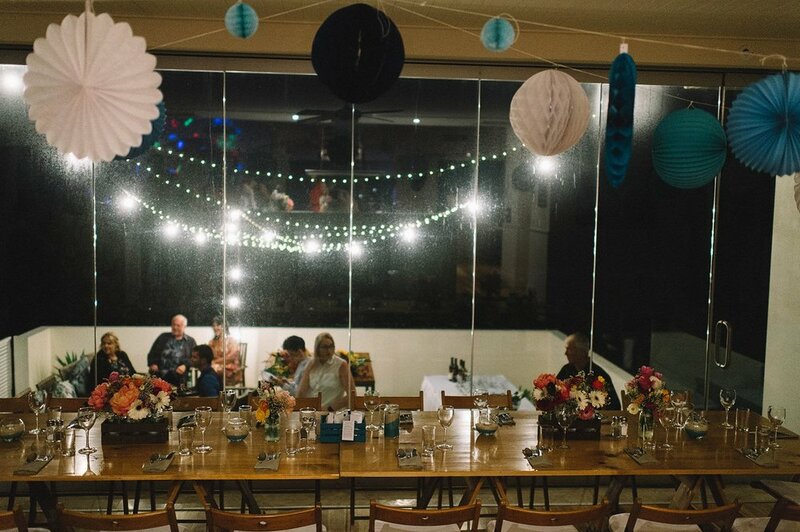 But thankfully, we only had a few hiccups - the first was that we didn't book the Casuarina Gardens for long enough, and we got kicked out shortly after our wedding because another wedding was taking place! So we hustled into a little clearing next to the garden for drinks and laughter - hopefully we weren't too noisy and didn't disrupt the couple's wedding =/ but it was nice for them, as they got to celebrate under our archway and white paper balloons in the trees. Dress + Flowers: Made by Me!